What Styles Can You Achieve? 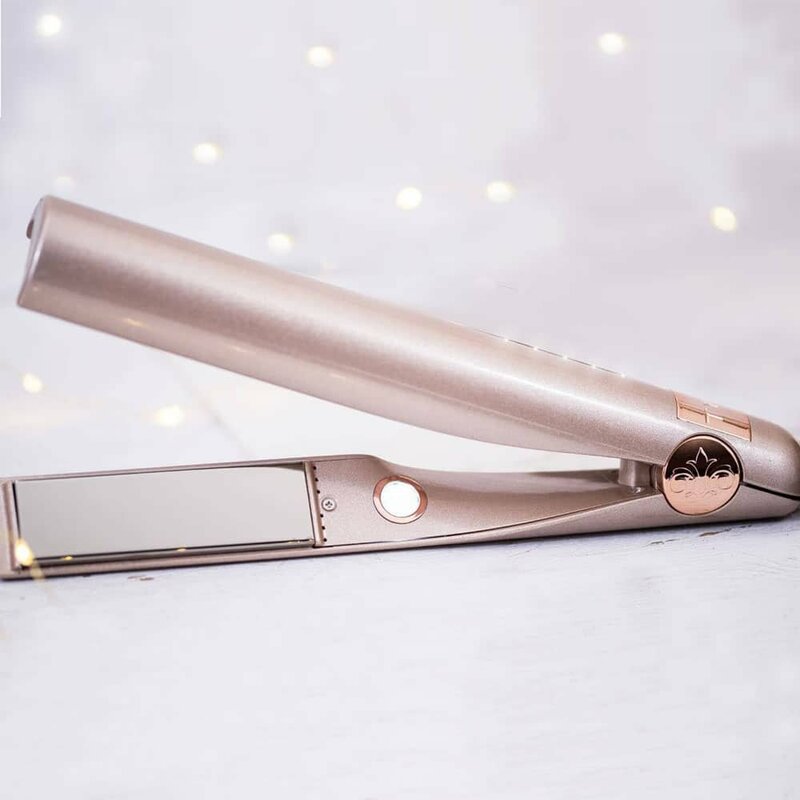 One of the reasons I was so captivated by the TYME Iron Pro when I saw it online was that it was simply beautiful to look at. I realize that is perhaps a somewhat shallow consideration when you’re buying an appliance, but is it wrong to expect an appliance you use for beauty to look beautiful itself? I don’t think so. When I unboxed the straightener, I was thrilled to see that it was just as sleek and gorgeous in real life as it was in the product photos. Actually, the photos don’t really do it justice. It has a look of polished luxury. The rose gold color is lovely, and there is a sparkle and shine (literally) to every surface. Not only that, but the product feels really solid. The cheap flat iron I used to have actually quit on me one day when I dropped it. I hope I never drop this one, but if I do, I have a lot more faith that it will keep on working. 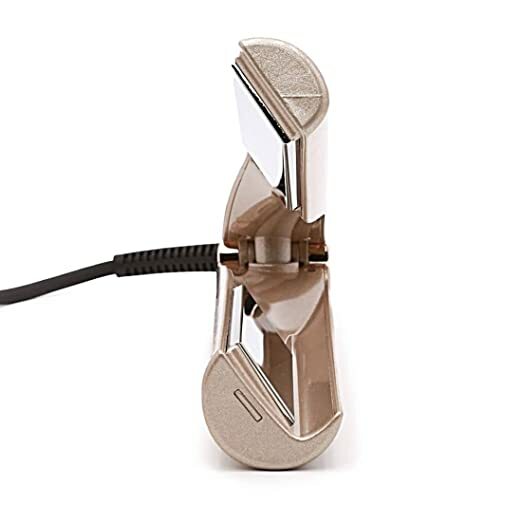 There is even a 360-degree swivel cord, so you can angle the iron however you want without straining the cord. It is also backed by a 1-year warranty. There are a lot of great features which I love about the TYME Iron Pro and which my old flat iron did not include. I’d like to tell you about them in detail now. Okay, first of all, I think I should touch on that “heats up in 55 seconds” matter. I’ll be honest. My old, cheap flat iron heated up in about 5 seconds. It was pretty cool that it was ready to go on the instant. That being said, it did not heat up reliably. It had three temperature settings, but you never knew exactly how hot it really was. Sometimes when I had it on the lowest setting it would fry my hair. Other times, on the highest setting, it would produce really weak heat. The TYME Iron Pro takes a little longer to heat up, but I found it to be very reliable. If I put it on the lowest setting, I get the lowest heat. If I choose the highest setting, I get the highest heat. It also has a wider temperature range: 300°, 325°, 350°, 375°, and 400° F. That provides a lot more control so you can choose the exact heat you need for your hair type and the style you want to achieve. Oh yeah — and if you like to use the same setting every time, you do not have to reset it every time you turn it on. It will automatically remember the last setting you used, so it will be ready to go. I can be forgetful, and I also have OCD. So for me, questions like, “Oops, did I forget to turn off the straightening iron?” can really plague me. I was late for work more than once in the past because I turned back around to check if I had indeed turned off my old straightening iron before heading to the office. The TYME Iron Pro eliminates that problem. This hair straightener turns itself off automatically after you stop using it for 30 minutes. This safety feature means that you never need to fret again. The first time I bought a flat iron, I had no idea just how long it can take them to cool down after use. My old one didn’t come with a heat sleeve, and I didn’t buy one for ages. So that meant I had to wait around for about 10 minutes after every styling session before I could safely put away the iron. So it’s a really nice bonus that the TYME Iron Pro comes with its own free heat sleeve! You don’t need to shop for a separate sleeve to fit. 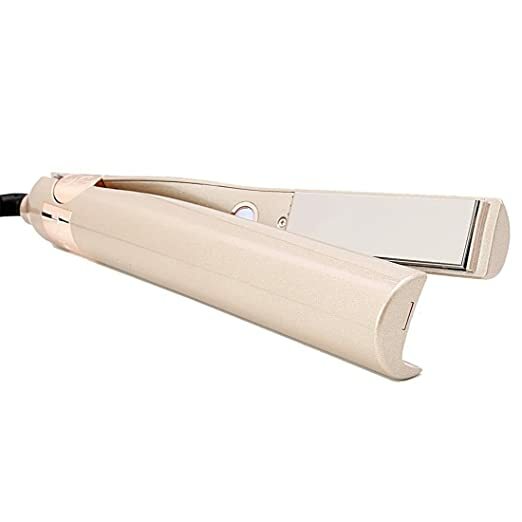 It saves money and time, and helps you carry and store your straightening iron safely. One more cool and unique feature which comes with TYME Iron Pro is a free 1-on-1 StyleTYME Session. This is where you can schedule a session with a virtual stylist, who will help you learn how to use the device to get the exact style that you are dreaming of. I actually found this to be very helpful because I was having trouble learning how to use it at first. In terms of ease-of-use, it really is not bad after you get the hang of it (see below), but there was a bit of a learning curve. One more thing that I want to say about TYME is that the customer service really impressed me. I noticed even before I bought the Iron Pro that the company is really good about answering customer questions and addressing concerns online. I can say now having used the TYME Iron Pro and having dealt with the company directly that the team really is very fast, responsive, and helpful. They are fully aware that the learning curve with TYME can challenge some new users, and are there to walk you through it every step of the way. The styling session I mentioned before was awesome. I got fast answers to my questions, and the stylist helped me master the techniques quickly and easily. There really is nothing quite like having someone actually sitting there showing you the methods and explaining them to you aloud. It is way better than watching a video or reading an article or manual. There have been a couple of times since where I had questions about the straightener, and have emailed the company to ask. On these occasions, I have also received fast and friendly replies. Needless to say, this is far beyond any level of support I have ever received from any other hair product manufacturer. 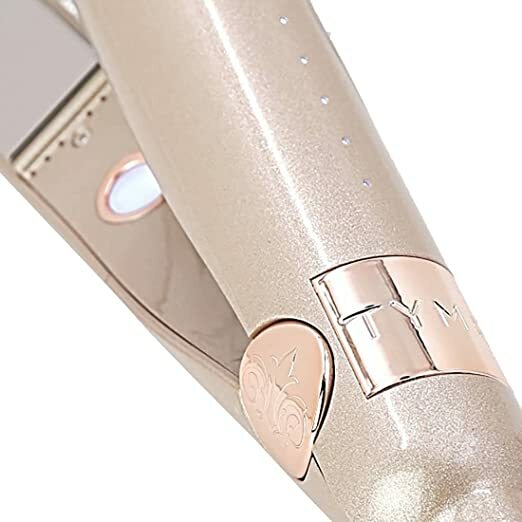 A better question would be, “What styles can’t you create with the TYME Iron Pro?” This is a straightening iron, so of course you can use it to straighten your hair. But you can also use it to create glamorous curls. These can be tight or loose depending on the angle you use. You can create beautiful beachy waves as well. 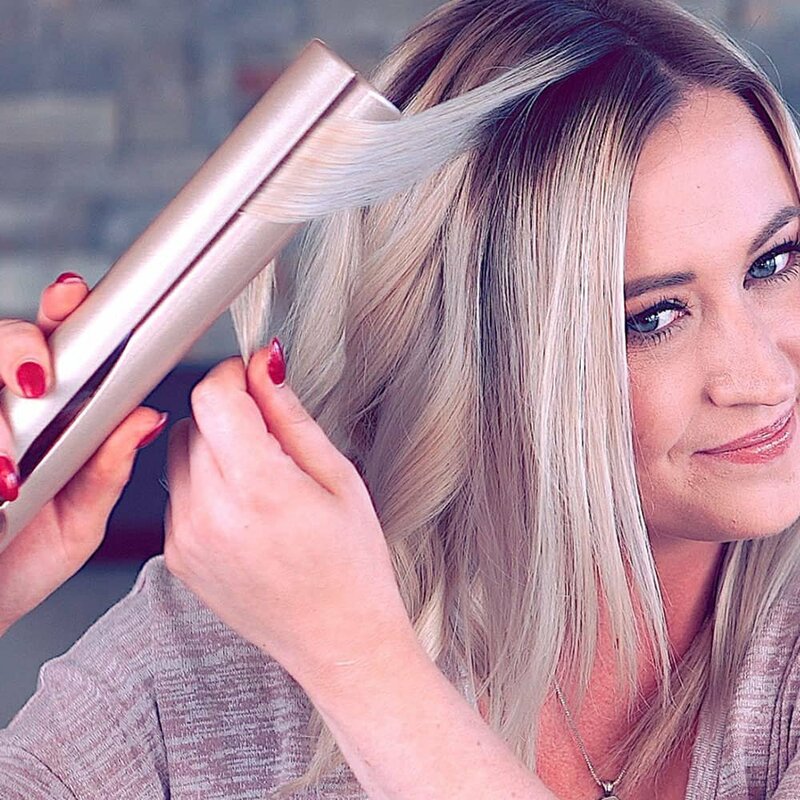 This means that ultimately, the TYME Iron Pro is a much more versatile device than a curling iron. 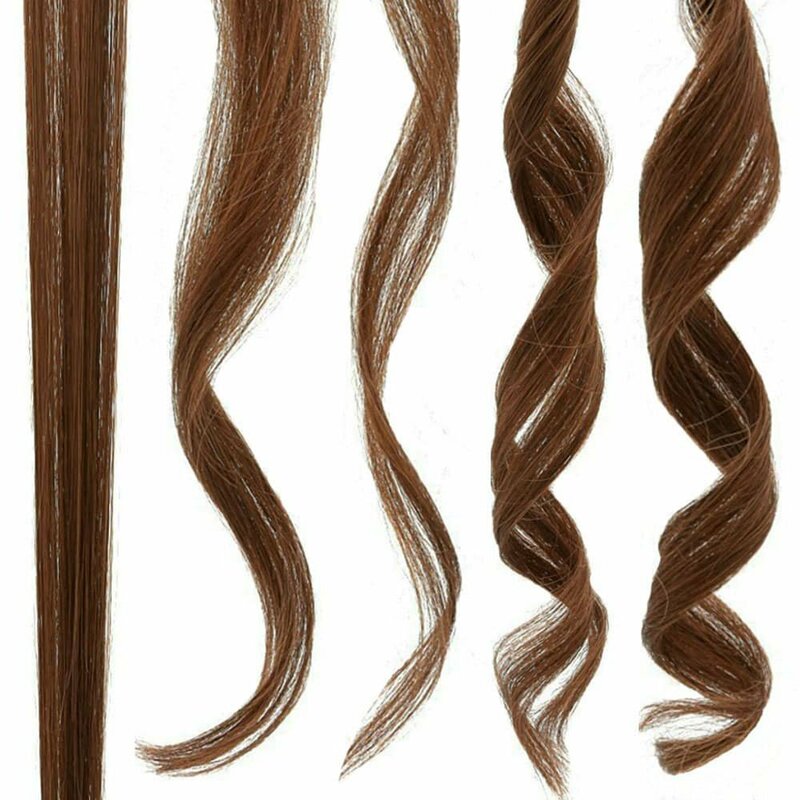 A curling iron cannot be used to straighten hair, and you can only make one size of curl with it (as determined by the barrel size). The exact steps and techniques you need to use to get the results you want with the TYME Iron Pro depend on both your hair type and the style you are aiming for. But here are some general guidelines to get a beautiful look fast. Turn on your iron and select the setting which you want. I suggest trying a lower heat setting first. Select a section of your hair and run it through your iron. It works best if you are pulling gently forward, not to the side, and not upward. As you are doing that, twist your wrist so that you create the curl you want. The exact angle you need to twist at depends on the curl you are trying to create. Do not pull your hair through too quickly or too slowly. Too slowly and you will burn your hair. Too quickly and you will not get the effect you are after. Try not to apply full pressure. If you do this, you may end up with frizzy hair. I have found this to be the case even on lower heat settings. This is especially important to keep in mind if you have fine, fragile hair. Definitely use protectant on your hair before you attempt to curl or straighten. Give it some time and practice. You might be a natural and pick this up the first time you try it, but I found it took a few tries to learn. This is normal with any new hair styling device, so be patient and you will eventually get the results you want. Once you get a feel for what you are doing, it is very easy to use the TYME Iron Pro. Don’t expect to pick it up immediately, though. The design of the device is unique, and you will find that it requires some finesse to get the results you are looking for. If you are into styling your hair, you know by now that beauty always requires an investment of time and effort, especially when you are learning something new. This is no exception. The first few times I did my hair, it took me a while. I would say I spent an hour on my first try, and 40 minutes on my second and third attempts. By the fourth try, I was starting to do better — just half an hour to curl all my hair. I then did the free styling session and picked up some great tips and tricks. I can now do my hair in around 15-20 minutes. I have long, thick hair and lots of it, so I think with shorter hair or simpler styles, you could probably get the look you want in just 10-15 minutes. So even with a busy, hectic schedule, you can have beautiful hair! Now you know that I’m able to get my hair curled with TYME in just 15-20 minutes a day. On the days when I choose to straighten instead of curl, I can usually get away with just 10 minutes, sometimes less. How does my hair actually look when I’m done? Pretty amazing, actually. The first few times I used TYME, it was a bit frizzy, but that went away after I stopped clamping down completely with the iron. Now my hair comes out silky smooth when I straighten it. When I curl it, my curls are bouncy and beautiful. I’ve even had people ask me if I got a perm! How well your hair holds the styles will depend partly on your hair type. With my thick hair, the curls usually hold at least through an entire day. Sometimes they even last through day two or three. This is awesome because I can style once, and enjoy the results for days. I never imagined before it could be so effortless to enjoy curly hair! The durable build and high-quality materials mean this device should function great for years. It includes a wide selection of heat settings, and they work reliably as advertised. The automatic off feature gives you peace of mind and safety. You can straighten or curl your hair, and you get to decide on the size of your curls. I’ve never used another iron which gave me this level of flexibility for a customized look all my own. A free heat sleeve is included with your purchase, as is a free one-on-one styling session. The customer service is nothing short of amazing. It is stylish and beautiful to look at, making it even more fun to use. This iron works fast once you get used to using it. Get the look you want in around 20 minutes. 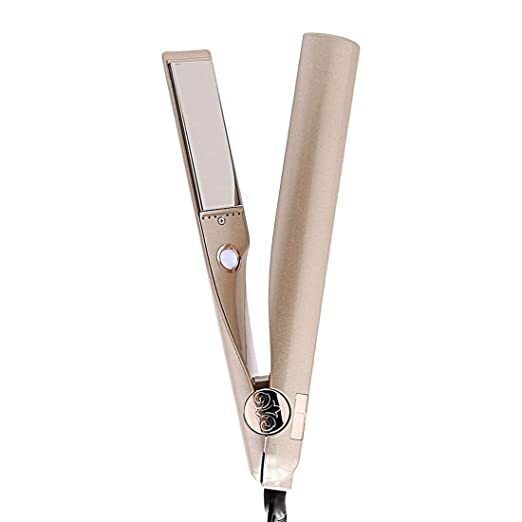 This is a fairly expensive product, but it also gives you a lot more in the way of value than a cheaper straightening or curling iron. With a strong warranty and a money-back guarantee, there is no risk in buying this product. Applying the right pressure and using the right angle and speed is something which takes time and practice to learn. But that is something you need to commit yourself to anyway if you want amazing hair. Fine, brittle hair may frizz easily with TYME Iron Pro and also be harder to style, but this is par the course with that hair type. Now you know all about the features and benefits of TYME Iron Pro. 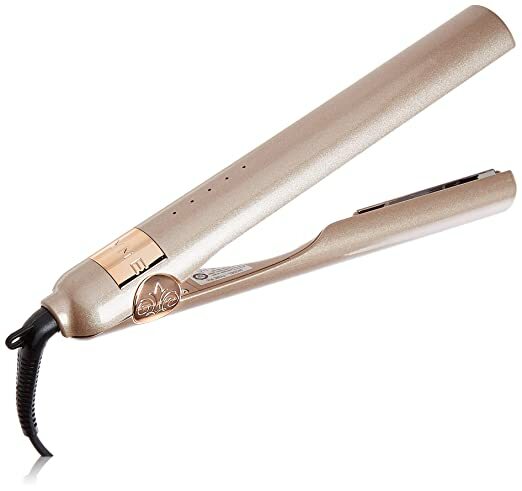 Can you settle for a cheap hair straightener? Sure, but I can tell you from experience now that all I ever did was waste money on cheap hair styling tools. If I had just gone with this product in the first place, I would actually have saved money. My old straightener fried my hair with its unreliable settings, and it broke when I dropped it. TYME Iron Pro is made of sturdy, durable materials. It looks lovely and feels solid, and I can tell it is going to hold up great over years of use. While there is a bit of a learning curve, once you have it down, you can straighten or curl your hair easily within a matter of minutes. The results are gorgeous and hold great throughout the day. I can say it was more than worth the money and was actually a steal at the price I got it at. With a 1-year warranty and 30-day money back guarantee, you have nothing to lose. So give it a try, and finally get the luxurious, glamorous hairstyles you have always wanted in a fraction of the time!